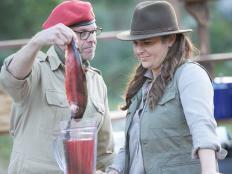 Go inside the Camp Cutthroat competition with master saboteur Alton Brown. 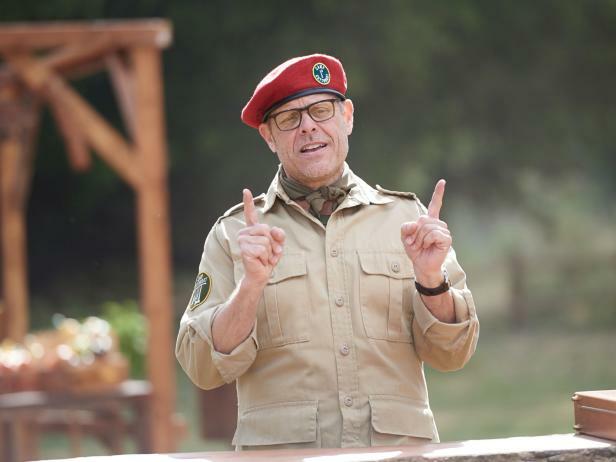 The rock walls, the bouncy houses, the blindfolds and, of course, Bob the Bear — Camp Cutthroat isn't short on eviliciousness, thanks in part to Camp counselor extraordinaire and host Alton Brown. 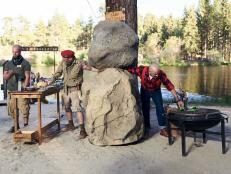 Last night's Round 4 battle — the last one until next Wednesday's finale — was full of diabolical outdoor sabotages, including the now-infamous lookout tower from which one chef had to make a skillet breakfast high atop the campsite. While all of the drama played out on TV, Alton Brown took to Twitter @AltonBrown to offer you fans an insider's look at the competition and answer a few of your most-pressing Camp questions. Read on below to see some of his best tweets. Ever wonder how cameras manage to capture footage of the chefs as they're cooking in the middle of the lake? Alton explains. The smaller the utensils, the better. According to Alton, the lake has been renamed "Leech Lake." Find out why — the answer may surprise you. The definition of B.O.B., once and for all. 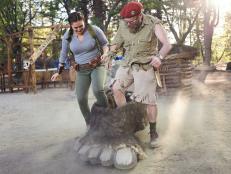 Rattlesnakes, reinterpreted in true Alton fashion. 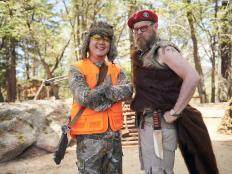 Remember that time judge Jet Tila thought that something was "easier" at Camp Cutthroat? 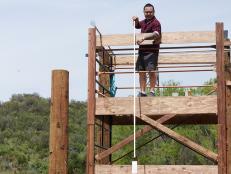 Go high atop the lookout tower with Alton to get the full view of the set. 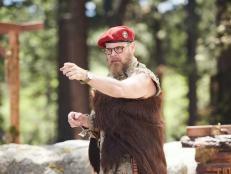 Mark your calendars for next Wednesday's Camp Cutthroat finale at 9|8c, and be sure to join the conversation during the show with #CampCutthroat. Regular episodes of Cutthroat Kitchen air every Sunday at 10|9c. 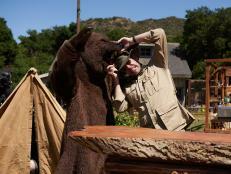 Hear from Food Network's Alton Brown in an exclusive interview. 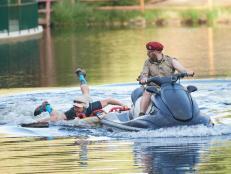 Get all the details on the upcoming premiere of Camp Cutthroat 2: Alton's Revenge, kicking off on Wednesday, Aug. 24 at 10|9c. 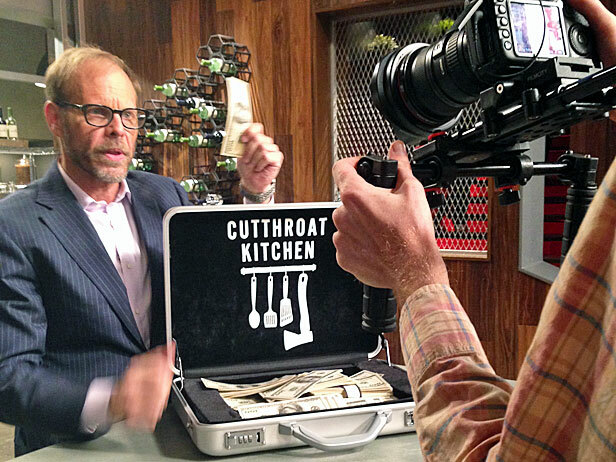 Watch Food Network's Cutthroat Kitchen: Alton's After-Show hosted by Alton Brown. Hear from Alton as he previews the upcoming Camp Cutthroat tournament, and learn his secret for making the ultimate s'mores.